The new Arri cameras ALEXA SXT (Super Extended Technology) y la actualización del módulo SXR (Super Extended Recording) representan el siguiente paso de la emocionante evolución de la familia ALEXA. From its announcement, the best feature of the Alexa system has been his unique combination between with state-of-the-art image quality and the most efficient workflow both on and off set. Based on this knowledge and market research, the new Alexa SXT improve once more this qualities, rising up the level of Arri digital cinema line up. 4K PRORES RECORDING With their on board 4K ProRes UHD (3084x2160) and ProRes Cine (4096x2636), Alexa SXT cameras are the best choice for productions in need of 4k UHD TV and/or 4K DCI resolutions, allowing filmmakers to keep on using the Alexa system which they know perfectly and they have proven to love, for a bullet-proof workflow for any project. You could choose between 14 in-camera recording formats, 7 of which are new. All sensor modes can now be recorded in ARRIRAW or ProRes. There is a ALEXA SXT recording format for any project no matter the budget, resolution requirements, aspect ratio, lenses, or postproduction plans. Alexa SXT and SXR cameras also offer several others recording formats, including 3.2K ProRes or 3.4K ProRes, which allow lighter and easier to move footage that can lately be exported in UHD or 4K DCI by the post house. The best path 4K UHD image, offering the immediacy and speed of ProRes in the UHD distribution standard of 3840 x 2160 pixels. 2K image quality with anamorphic lenses. The camera creates a ready-to-view ProRes file in the 2K DCI delivery format (2048 x 858), so no debayering, cropping, rescaling or de-squeezing is needed in post. 4K image quality with anamorphic lenses. The camera creates a ready-to-view ProRes file in the 4K DCI delivery format (4096 x 1716), so no debayering, cropping, rescaling or de-squeezing is needed in post. Popular for spherical 16:9 or 1.85:1 shows, this format provides extra height for VFX tracking markers and repositioning in post. It has the immediacy and speed of ProRes, plus a lower data rate than Open Gate and works with smaller image circle than Open Gate. With its built-in radio and lens motor electronics, thhis camera makes working on set faster and more efficient. Plug the ARRI lens motors directly into the camera, turn on the wireless hand unit (like the WCU-4) and off you go. Integrating the wireless and lens control infrastructure into the camera not only saves time, but also weight, as a setup with an ALEXA SXT EV and an external motor control box would be more cumbersome to cable and heavier in sum. Compatibility with the ARRI hand units, like the WCU-4, as well as with the cmotion hand units makes this a supremely flexible tool. Full Flexibility for Monitoring on set. Also the Alexa SXT and SXR cameras features three totally independent HD SDI outputs. That makes possible, for instance to display the LUT to the director or client, while displaying the LogC on the DIT screen and show, let’s say, a REC709 with high peaking and status info to the focus puller. New on board color management Alexa SXT cameras feature the beloved and outstanding ALEV III 3.4K sensor already featured in the other cameras of the ARRI cinema line up, but they add to it the cutting edge technology of the Alexa65. Those high performance electronic components mix the last generation of FPGA processors with a fast internal backplane and are the basis of a completely revisited image processing process that feature advanced pixel correction and optional noise reduction That gives as a result a global improvement of the image quality. As for its “ancestors”, the Alexa SXT cameras feature the popular sensor modes such as Open Gate 4:3 and 16:9, being able to deliver both Arriraw or ProRes up to a 120 fps. The creation of on board LUTs has been made possible by using an advanced color management engine, originally developed for the Amira. A new look management architecture has been incorporated to the ALEXA SXT, in order to make it easier and controlable, this new tool offers the control of the look from preproductionto postproduction. WIth the ARRI COLOR TOOL and ARRI Look File you can create new looks compatibles with ALEXA Mini and AMIRA. Having the posibility of storing the look information in the metadata of the recorded files makes easy live grading on set, as automated dailies andediting with looks. By using the native color gammas of the ALEV III, this engine grants a totally new color control with at the end of the day means more creative freedom for filmmakers. Aside of that, the on set preview has been improved too by including the possibility to use the new Rec2020, so the creation of dailies and organizing of the footage can be even faster. A new type of look file, the ALF-2 (Arri Look File 2) contains the ASC CDL (color decision list) as well as 3D LUTs. 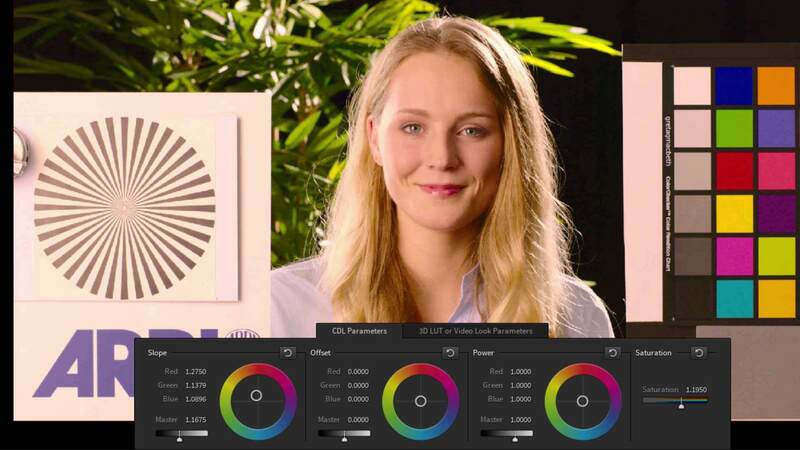 Alf-2 files are created by a new app Arri Look Creator, which can also import standard 3D LUTs. Alf-2 files are compatible between Alexa SXT, Amira and Alexa Mini. Once they are loaded on camera, CDL or 3D LUT settings can be applied to any of the HD SDI output and to the ProRes recording. So it is possible to match exactly the image with footage coming from “old” Alexa cameras, or find a totally new look. Alexa SXT/SXR cameras do support the same media used by Alexa XT, plus they are also compatible with new SXR high-speed and storage modules. Both the 1 Tb and the 2 TB SXR capture drives are capable of a stunning 20Gbit/second recording speed. To insure the best workflow and compatibility, every kind of media has is own adaptor available to be used on the SXT line up. SXR module. (ARRIRAW & 4k CINE). License Key: High Speed, Anamorphic De-squeeze, DNxHD. Alexa SXT | La única Cámara Arri que ofrece resolución 4k. Este último modelo de Arri mejora muchas asignaturas pendientes de la serie Alexa. Dispone de Licencias Arri Raw y Anamórfico. En Camaleón Disponemos de gran variedad de objetivos anamórficos. Elige el juego de lentes que mejor se adapte a tu rodaje y prueba la nueva Alexa SXT Plus. I love this camera, is by far the best option available when it comes to digital cinema. I wish I could always shoot with it!